Amidst the destruction caused by the devastating earthquake in Pakistan that killed more than 500 people, a new island emerged from the depth of the sea. NASA has released images of the newly formed islet. NASA has released before and after photos of a new terrestrial body that was born on September 24 during a quake that struck Pakistan. Called Zalzala Jazeera, or a an earthquake island, the terrestrial formation can now be found 380 kilometers from the earthquake’s epicenter in Paddi Zirr Bay near Swadar, Pakistan in the Arabian Sea. The first image of the island was taken by NASA’s Earth Observing-1 satellite on September 26, while the second snapshot shows the same bay on April 17 with water and no landmass around the coordinates that the new island now inhabits. According to scientists, the depth of the water level around Zalzala Jazeera stands at about 15 to 20 meters, stretching 75 to 90 meters across. It lies approximately one mile from the shore. Scientists say the island is nothing more than just a pile of mud, sand and solid rock that was caused by the forces of highly pressurized gas. The Earth Observatory says this is not the first island to have surfaced along the 700-kilometer-long coast over the past century. 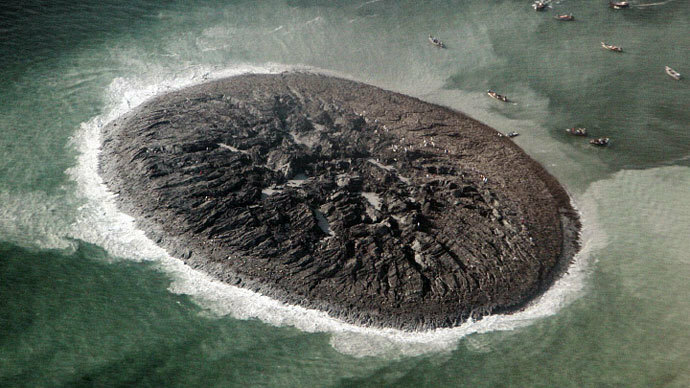 Scientists predict that the new island will remain above surface for up to a year before sinking back into the Arabian sea. 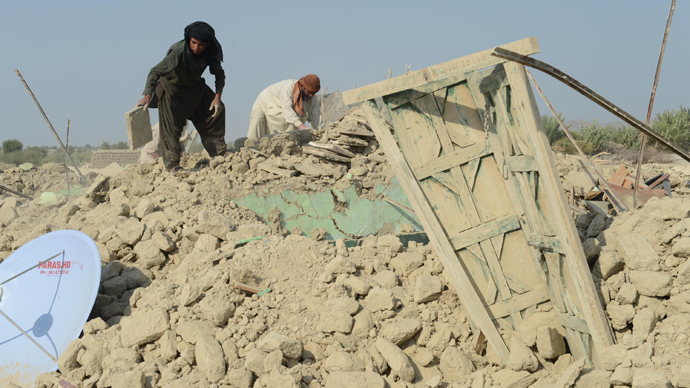 The island rose out of the water during a 7.7-magnitude earthquake that struck Balochistan, just 69 km north-northeast of Awaran - the nearest Pakistani city - on 24 September 2013. 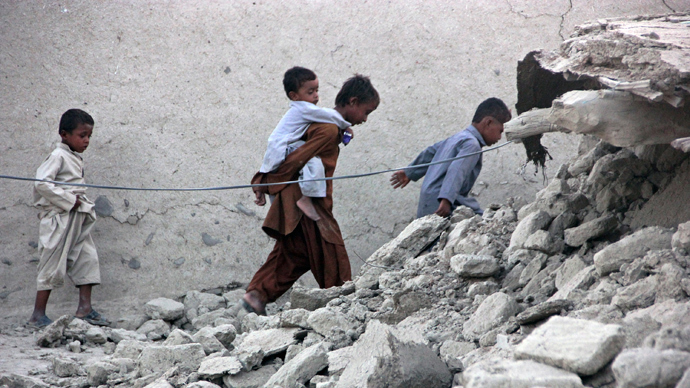 Over 300,000 people were affected by the quake, which caused over 500 deaths, and some 21,000 houses were destroyed.